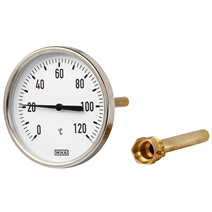 The model A50 bimetal thermometer is used mainly in heating, air-conditioning, ventilation and refrigeration technology and is suitable for a scale range up to 200 °C. 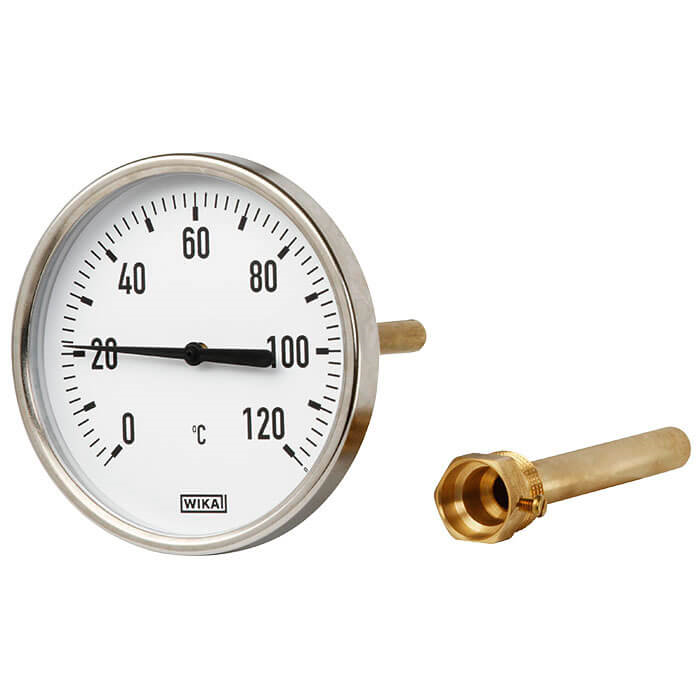 The bimetal thermometers are mounted into the respective application with screw-in thermowells. On the one hand, this protects the instrument, on the other hand, the measuring instrument can be exchanged without having to disrupt the process.